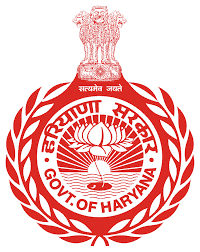 Rewari was accorded the status of a district by the Government of Haryana on November, 1, 1989. Its geographical boundaries have district Jhajjar in its north, Mahendergarh district in its west and district Gurgaon in its east & north-east directions. District Alwar of Rajasthan touches Rewari in the south-east. Prior to it, Rewari was a Sub-division and Tehsil head quarter of district Mahendergarh. Rewari is located at 82 KM mile stone in the south-west direction of the national capital Delhi across the Delhi Jaipur National Highway No. 8. Rewari town is situated at the height of 241.95 meters above sea level. This district is spread over 1559 Sq. km area with a total population of 6,23,301 (1991 census). It is divided into 2 sub-divisions, Rewari and Kosli. It is further divided into 3 revenue tehsils, that is Rewari, Bawal & Kosli and 5 CD Blocks namely Rewari, Bawal, Khol, Jatusana & Nahar. The whole district consists of 412 villages and 348 Panchayats. In this district temperature ranges from 2 to 47 degree centigrade, months of December & January are of sever cold and the months of May & June are of bitter summer. Because of the touch of Rajasthan this district faces dusty storms in summer season. Overall climate of this district remains dry. July,August & September are the months of rainy season. Light rains are experienced during December, January & February.